Kimchi, kefir, kombucha. Miso, tempeh and yogurt. From sourdough to sauerkraut, people in virtually every culture have eaten fermented foods, and for thousands of years. Given their nutritional benefits, it’s no surprise that ferments are now enjoying a culinary renaissance. Recent research has shown that health begins in the gut, and with the ever increasing use of antibiotics in modern allopathic medicine, supplementing our diet with fermented foods is critical to maintaining our intestinal microbiome. 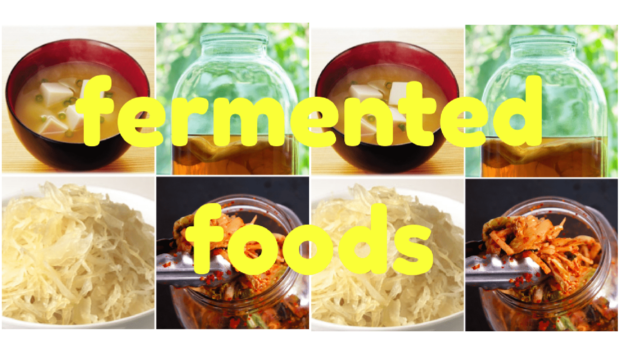 But are fermented foods palatable and can you make them yourself? Yes, and yes! With a pinch of research and trial and error, you can make your own kimchi, yogurt, and sauerkraut quite easily. Also called ‘cultured’ foods, fermented foods have undergone a process of lacto-fermentation. During this complex process, microorganisms (bacteria, yeast or fungi) convert sugars or starches into alcohol or acids. The culinary byproduct is a tangy, strong tasting flavor, adjustable by altering the duration of fermentation. (You can read more about the fascinating chemistry of lacto-fermentation here.) Vegetables, milk, juices and beans are all examples of foods that can be fermented. 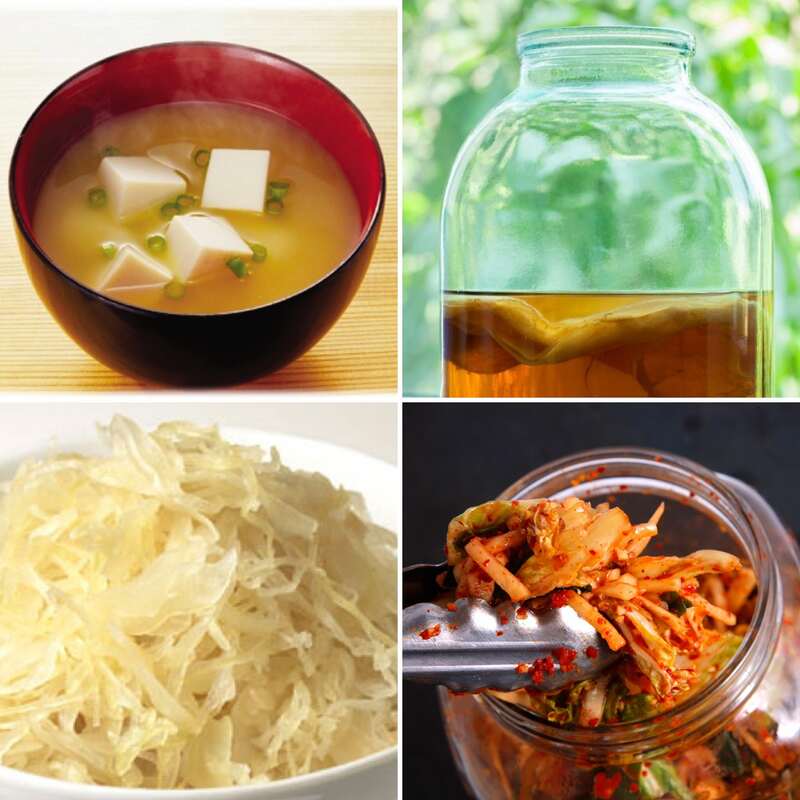 Some ferments are an acquired taste (kimchi) while others are more accessible to a Western palate (yogurt). 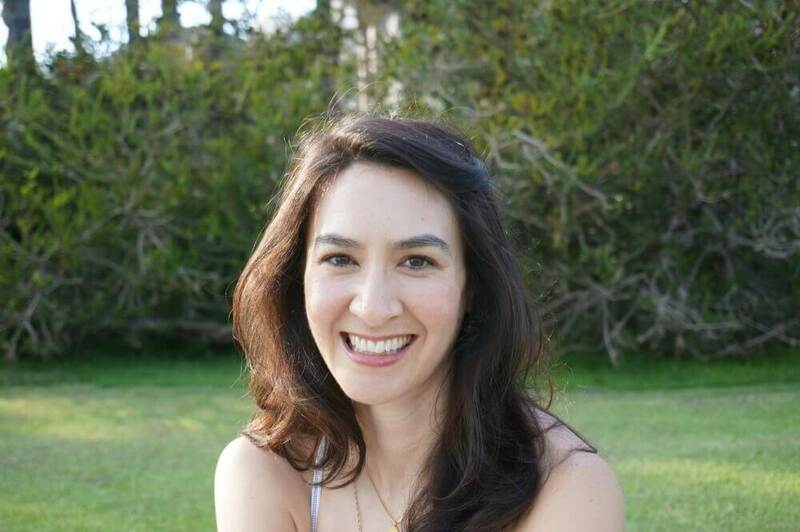 I believe it is a good practice to eat at least 1 serving of a fermented food per day. Next week I’ll be showing you how to make your own kimchi. 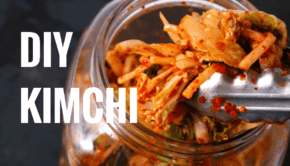 Considered a nutritional powerhouse, kimchi has been linked to the prevention of cancer and obesity, as well as helpful in reducing cholesterol and boosting the immune system. If you have experience making your own fermented foods, feel free to comment below. Disclaimer: This website pro­vides gen­eral infor­ma­tion and dis­cus­sion about yoga, health and related sub­jects. The words and other con­tent pro­vided in this blog, and in any linked mate­ri­als, are not intended and should not be con­strued as med­ical advice. If the reader has a med­ical con­cern, he or she should con­sult with an appropriately-licensed physi­cian.